Just as a caterpillar transforms into a beautiful butterfly, this metal monarch butterfly will completely change the look of your interior or exterior! 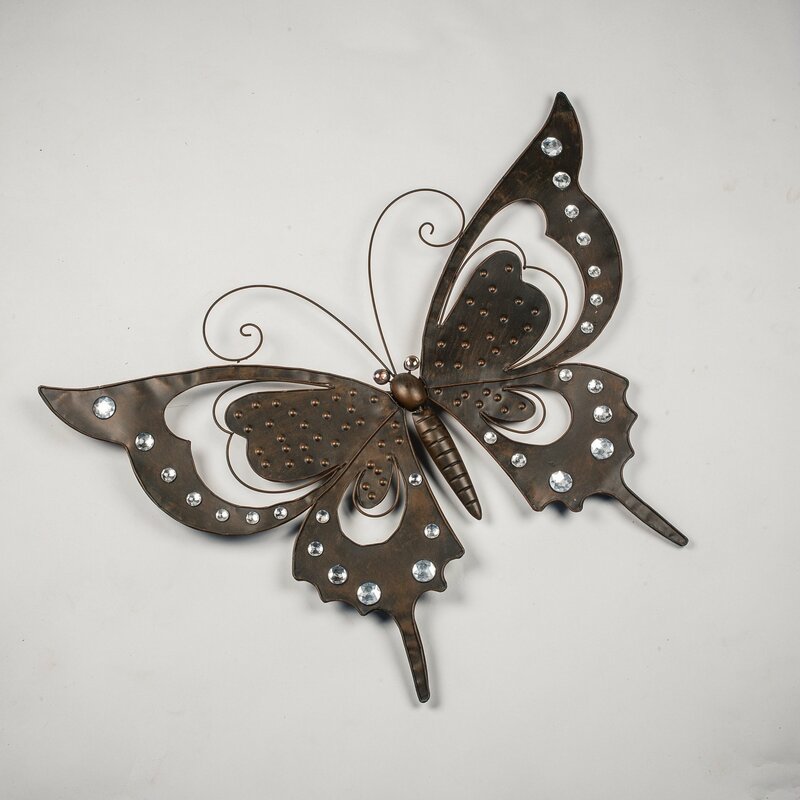 The lovely butterfly wall hanging is formed out of fine quality metal that has been given a dark chocolate brown finish that adds warmth to decor. This butterfly has large black wings with cut-outs. There are small dimples on the inner wings and large diamond gems on the outer wings.